The Ceramic Cell Wickless Glass Oil Cartridges 5 Pack are your top shelf solution to your thick waxy concentrate vaporizing needs on the go. 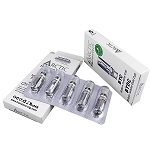 These compact oil cartridges feature a wickless ceramic core element design with quad oil intake holes that together deliver a pure flavor quality with massive amounts of vapor thanks to the increased airflow. 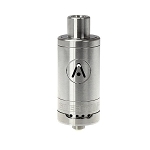 They can be purchased with either a 1.6mm or 2.0mm intake hole size that will see optimal results with a variety of oil types. For material with a thinner consistency go for the 1.6mm option and when you are working with thicker oil choose the 2.0mm intake. Each of these cartridges can be filled with up to 0.5mL of your favorite waxy oils, achieve that capacity with ease using the innovative top fill method. Remove the smooth ceramic mouthpiece and simply drip in your oils until the tank is full and replace the mouthpiece, a silicone O-ring sits above the ring of the Pyrex glass tube section to ensure there are absolutely no leaks or mess. 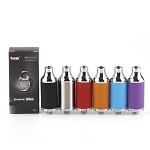 The Ceramic Cell Glass Oil Cartridges feature a 510 threading that can be paired with vaporizers that use the magnetic adapter connectors. Above is a short list of devices that have been tested and guaranteed compatible, other devices may work with this cartridge but cannot be guaranteed.